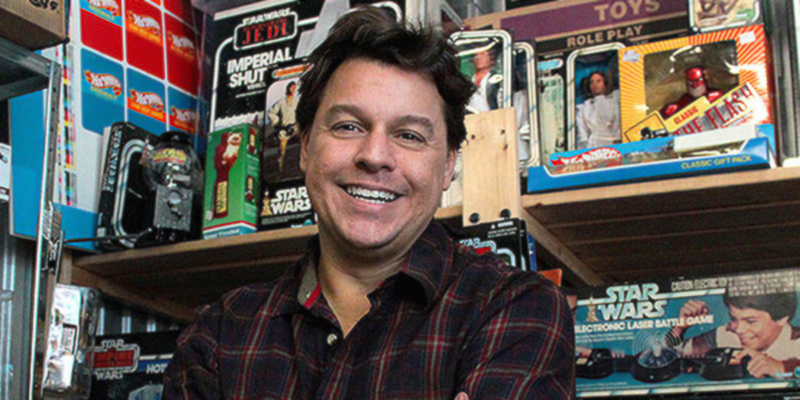 Jordan Hembrough, best known as the host of “Toy Hunter,” is the latest inductee of the Pop Culture Hall of Fame. On his reality show, Hembrough toured the U.S. in search of rare, valuable, interesting toys and collectibles. As a teenager, his obsession with comic books and movies came to a head when he saw “Star Wars.” He began collecting the action figures and toys from the movies and realized he could make good money selling them to his classmates in high school. So at the age of 16, he ditched his paper route and began his career in toys. The New Jersey native spent several years as a buyer for an international chain of comic book and sci-fi themed retail stores, specifically acquiring vintage, rare, one-of-a-kind collectibles. In 1998, he opened Hollywood Heroes, a store where he sold collectible toys and film props to collectors. He also combines his many interests by consulting for toy and entertainment companies. His TV show “Toy Hunter” was probably the most perfect culmination of his talents and interests, allowing him to travel, collect, act, and hang out with collectors and toy companies as a job. After being in the industry for more than 20 years, Jordan still makes appearances at toy shows and conventions.